Playstyle: All-around character with a wide variety of attacks. -Can easily switch between being on offense or defense. -Fireball is one of the better projectiles in the game. -Wide variety of basic attacks; each one has their own useful purpose and almost all of them can be used as a combo starter. -EX moves are quite powerful. 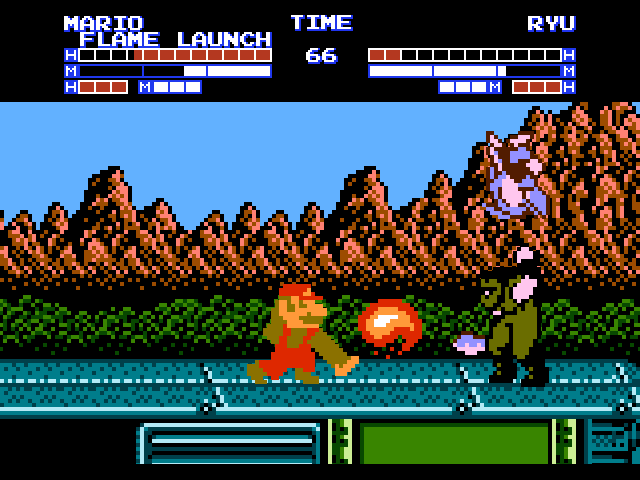 -Despite having a wide variety of attacks, Mario doesn't particularly excel at any playstyle. -Mobility is about average and combined with his high jump, it's a bit hard for him to get in close to the opponent. Brick Breaker (Down + Back + Punch) - Close anti-air and can launch the opponent up off the ground. Can be chained from his crouching light punch. Notably unsafe. Flutter Kick (Up + Kick; Air only) - Hits twice, Mario also floats while using this and it can be used to extend his jump height. Can be chaned from standing light kick. Fireball (D, DF, F, Punch or Kick; can be done in the air) - Mario's projectile; this move stays close to the ground meaning some projectiles won't make contact with it and it can't be slid under. You can control this projectile's speed by holding forwards or backwards before the fireball is released. In the air, the fireball will fall and travel along the ground. The Kick version has him preform a fake version with less recovery. Raccoon Tail (D, DB, B, Punch or Kick; can be done in the air) - Mario spins toward the opponent with a raccoon tail. Can easily be comboed into any super and will force the opponent back farther than the fireball. However, this move isn't particularly safe on block. In the air, Mario will continue moving in whatever direction he's jumping in. (although during a neutral jump, he'll move slightly forward) Punch version travels the least and does one hit while the kick version does three hits and travels farther. 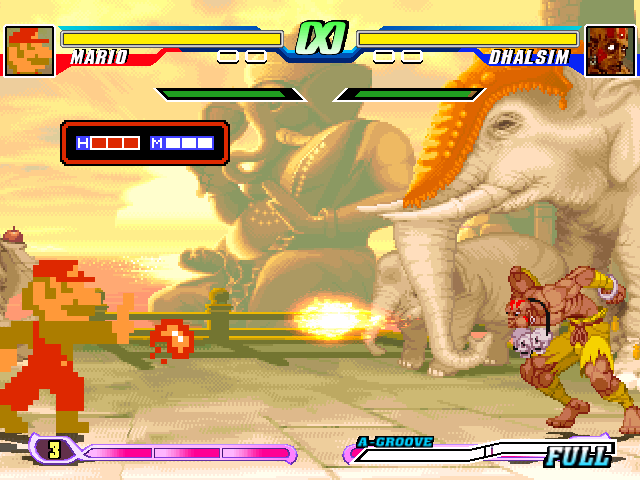 In the air, the Kick version travels the farthest but the damage stays the same. Jugem Cloud (B, B) - Mario retreats during Stomp while riding a Lakitu cloud. During this, Mario is completely invincible. Flame Launch (B, DB, D, DF, F, Punch or Kick) - Mario charges up flames in his hands and summons a big fireball at the ground that bounces upwards. This is Mario's anti-air although it has quite a bit of startup and lacks any invincibility. Up-close, it's possible to combo right afterwards. EX Fireball (D, DF, F, Punch and Kick; can be done in the air) - Travels fast along the ground, hits 3 times, knocks down and can absorb two hits. Air version throws the same fireball. EX Raccoon Tail (D, DB, B, Punch and Kick; can be done in the air) - Mario moves only slightly and invincible at the beginning of this move. 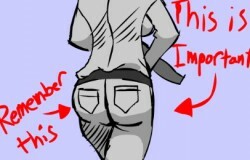 This move hits up to 6 times and is much stronger. In the air, this move acts the same although Mario stays in place. EX Stomp (F, D, DF, Punch and Kick) - Mario travels much faster and is projectile invincible in the beginning. This move is much stronger and will knock the opponent down. However, Mario doesn't have any additional commands for this version. 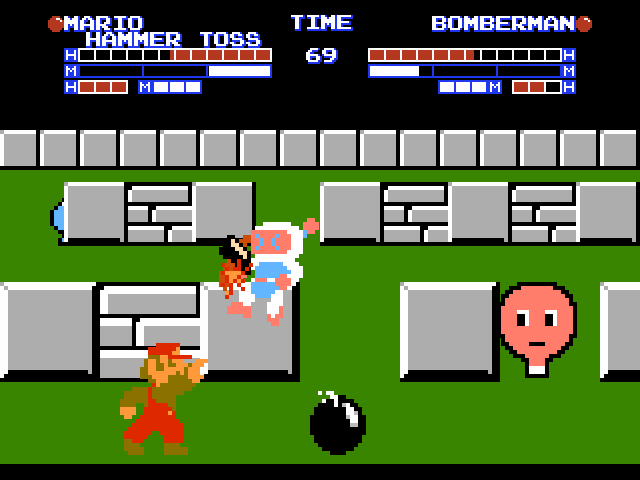 Hammer Toss (B, DB, D, DF, F, Punch and Kick) - Mario tosses out a hammer that flies in an arc. The hammer itself can also break through special projectiles. Super Fire (Level 1) (D, DF, F, D, DF, F, Punch; can be done in the air) - Fast super projectile; hits 5 times and knocks down. This is Mario's weakest super but it's the easiest one to combo into. This move can also be used as a long-ranged air-to-air as well. Hammer Wreck (Level 1) (D, DB, B, D, DB, B, Kick) - Mario runs forward while swining a hammer from DK. If this move successfully hits on the 4th swing, Mario keeps going with the hammers changing to the Wrecking Crew hammer and finally, the golden hammer from Wrecking Crew. This move is stronger than Super Fire but it's only limited to the ground and Mario is really unsafe on block. 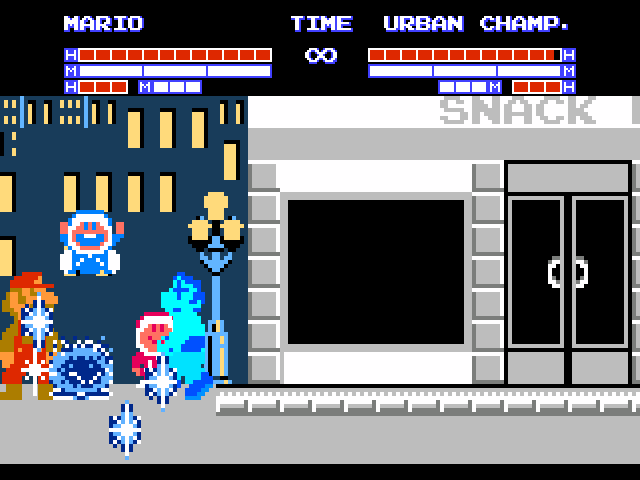 While Mario is not invincible, this move can interrupt a lot of attacks. It can also hit special and normal projectiles. Multistomp (Level 1) (Punch+Kick when Stomp connects and the opponent is on the ground) - Mario keeps hopping on the opponent's head and then stomps it. This is Mario's strongest super attack but it's really specific to activate it. Ultimate POWer (Level 3) (D, DF, F, DF, D, DB, B, Punch + Kick) - Mario does an uppercut and if the opponent is hit, he takes out a POW Block and proceeds to punch it. While this move's range is quite small, Mario is completely invincible at the beginning and it's also one of the stronger Level 3 supers. After the first hit, Luigi will shrink down in size, making him harder to hit. His moves remain the same however. Crouching - Mario's hitbox when he crouches shrinks a lot compared to other characters so he can duck under certain projectiles and high attacks. Vitamins - Mario will occasionally toss out a vitamin when using Fireball. However, this is only a visual change. What? Don't look at me like that. Ooooh! Looks cool, can't wait for the game!!! "I will destroy this pathetic planet!!!" I don't get the third and fourth pic, explain please. You'll see in the not too distant future what's happening in those pics. 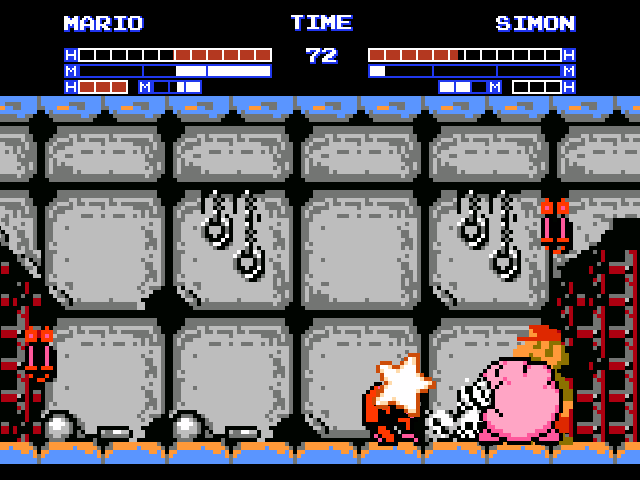 @Noside: the third picture looks like kirby inhaled simon and splited him, the fourth one it seems to be a new remade version of ultimate POWer. Oh cool, does it have the same properties like Samus' Ice Beam? Pretty much, it freezes the opponent for a few seconds and if they don't get hit, they eventually break out of it. 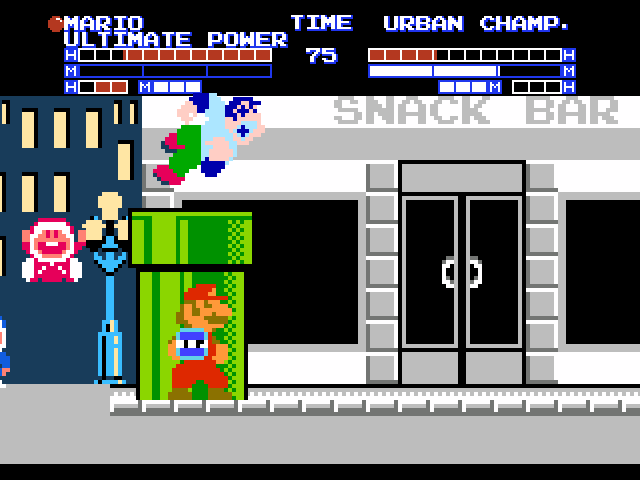 --Fixed a bug where Luigi would be stuck in his shrinking animation. --Corrected anim number for electrocuted state. Music now only stops when Mario is performing his Round 2 winpose or if he dies. Shadows for intro, Jugem Cloud and EX Stomp have been fixed.